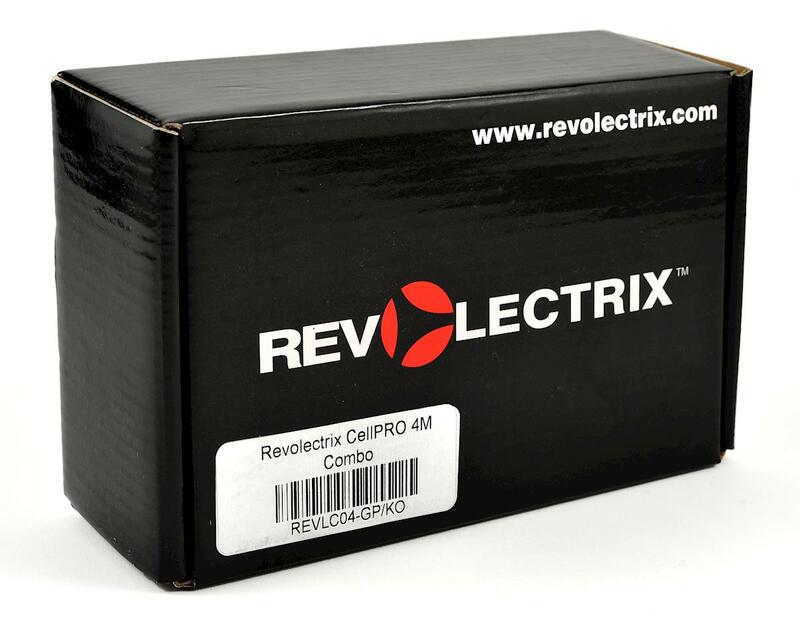 This is the Revolectrix CellPRO Multi4 Multi-Chemistry Battery Charger. The Cellpro Multi4 represents the next step forward in battery charging technology. More than just another charger, the Multi4 is based on FMA's time-proven, reliable hardware designs and safety algorithms, but sports a new micro-controller that is 4 times as powerful as the one used in the Cellpro 4s! 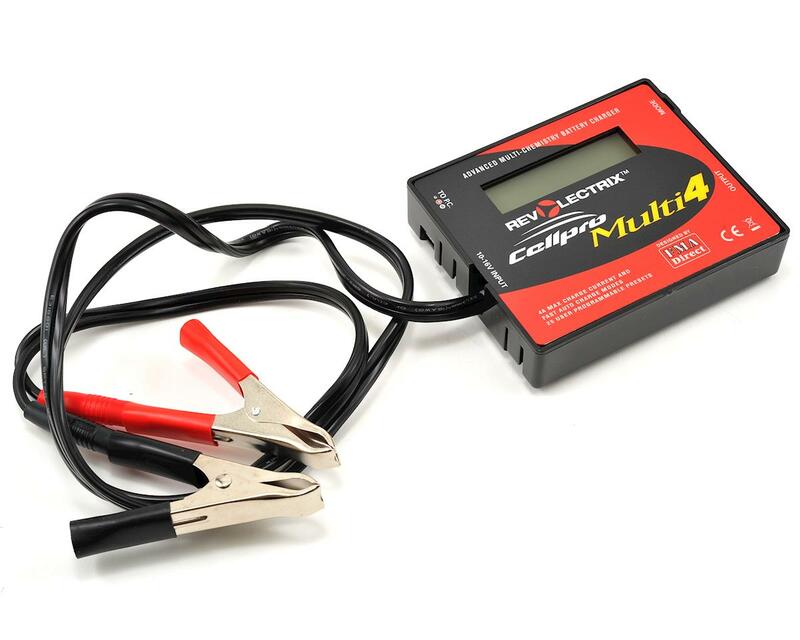 The Cellpro Multi4 charger directly supports all Cellpro Revolectrix battery packs without an adapter, and an included adapter will allow you to charge any battery up to 4S with JST XH or JST EH/HR type balance taps. The true power of the charger stems from totally new firmware. Revolectrix started with a clean sheet of paper and a lot of "thinking outside the box". The extensive list of features and capabilities are rivaled only by the goal to provide the ultimate in flexibility and utility. Out of the box, the Multi4 will run circles around the competition in terms of simple, yet powerful set up and operation. But if you are the type of person who likes a more custom solution, look no further. The charger, in combination with the Charge Control Software will offer virtually unlimited access to charging parameters. Why did Revolectrix take this path? Over time, they have received many requests from customers about specific features they would like to see in Revolectrix chargers. Sometimes they can add these features. Sometimes they do not have enough memory left in the microcontroller to make it happen. Sometimes making a change that one customer wants to see is something other customers do not want changed. But no matter what, the changes require countless hours of meticulous firmware updates and debugging before new firmware updates can be made available. A more powerful microcontroller in combination with the Open Architecture presets philosophy enables Revolectrix to make everybody happy! Adding a new feature, tweaking parameters, or fixing problems is as simple as correcting or creating new presets. Let's look at a couple of examples. Customer John wants his charger to balance A123 batteries at 100 mA as opposed to 200mA. This is a major decision for any charger manufacturer. Should Revolectrix update the firmware to change the balance current? Will others like the change? Do they add a capability within the user interface so that John can set it the way he likes it without affecting other users? Do they have enough memory to affect the change? If you read about how FMA or any other manufacturer handles these things, it is usually a pretty inefficient process. The results often please some customers while others complain. Enter Open Architecture presets. Changing the balance current, or the type of balancing, or how far along in the charge process the balancing begins is all adjustable now. Just go to the preset you wish to alter in the free Charge Control Software (CCS), find the parameter you want to adjust, and you're done. Now you have a completely customized preset for your specific battery type, situation, or application! Even if you are not the type of customer that wants to dabble in technical matters such as these, you will still benefit from Open Architecture presets. Why? Because first and foremost, FMA is introducing this concept to make it faster and more efficient for Revolectrix to support the vast myriad of unique requests that they receive on a daily basis. Even if you do not wish to alter charge parameters yourself, you will benefit by gaining access to presets created by experienced technicians. Restoring presets in the CCS is as simple as opening a word processing document on your PC. How about some more examples? You want to turn off cold weather mode, set it to a different temperature, or alter the charge voltage reduction level? Simply alter preset parameters. You want an A123 only charger? Easy; copy a single A123 preset to all 25 banks of your charger. Alter the settings of presets individually. Save them out one at a time to your PC or just backup all 25. Got a buddy who wants your settings? Email him the presets backup file. Once he opens the file and uploads them to the charger, he's got what you got. Here's possibly the most important part of all. Don't spend countless hours trying to interpret cryptic information presented to you on a 2 line LCD. Yes, you can make basic settings at the charger, but the most efficient way to make detailed and complex changes to charge parameters is on a PC where you have a gigantic screen, a keyboard, and a mouse. Don't worry about setting up your charger in the field where you're likely to make mistakes. Make the changes to your presets at home, call them up and use them on demand. To unleash the full potential of the Multi4, FMA recommends the FUIM3, 2 way P.C. interface and the free Multi4 Charge Control Software. Initiate charge at the charger or via remote control from the CCS. Graph all major operations when using CCS. Open Architecture presets allow for customization of any User Preset including show/hide presets on unit, preset name editing, up to 70 parameters control how presets are displayed and charging parameters associated with particular batteries and/or charging strategies. Unit includes 25 user preset banks pre-loaded for most major battery type/chemistries, plus 50 library presets. Edit, save, and recall custom fuel tables to improve the accuracy of AUTO charge modes. Custom fuel tables may be generated from 1C manual charge graphs of Li batteries, included with software upgrades over time, and/or shared with friends over the internet. Alter the individual charger displays to meet your needs. Change the order of any screen or hide screens from displaying. Set each preset to present the information you want the way you want it using the CCS. Support for non-balanced charge of 2s LiPo for small park flyer batteries. 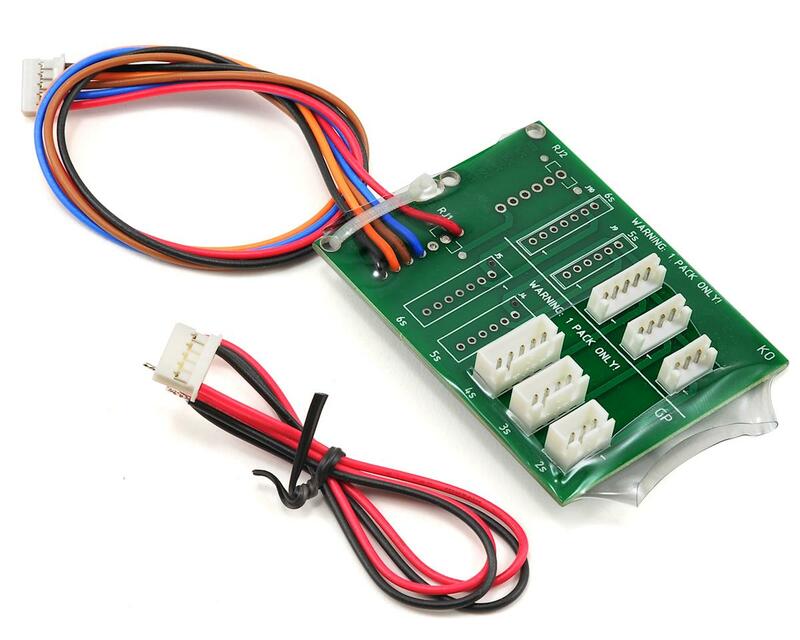 Available charger current may be limited for certain battery types depending on the number of cells charging in series and also by the ambient and internal temperature of the charger during operation. *NOTE: all specifications and features listed above subject to change without notice. Worked great for a year, until I tried to charge some old 1cell ni-cd battiers. Beeped and no more working. This is a DAISY, not an oak of a charger. light duty 2-3 cells work fine. The TINY charge lead wires off the charger should have tipped me off, that this was not much into putting out much. I wish I would have gotten the 10xp . it looks like it can handle a bit more. Bottome line... if you are looking for a work horse,......look elsewhere.